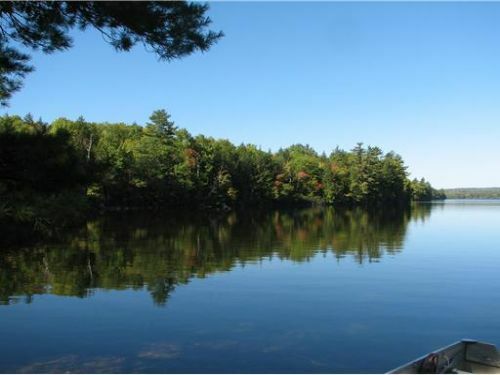 Maine Waterfront for sale thru Cabela’s Trophy Properties-Capture the serenity & nature of island adventures….this lot offers island privacy. The wooded parcel is located on White’s Island in Big Lake offering 1.79 acres and 200’ of water frontage. The lake is over ten thousand acres with a maximum depth of seventy feet and is home to salmon, bass, cusk, and pickerel. The access to the island is from the public boat landing. Big Lake is located in the Grand Lake Stream Region, which offers thousands of acres in conservation lands, plus a spectacular area of lakes for the fishing & recreational enthusiasts. Come take a visit, you will not be disappointed!